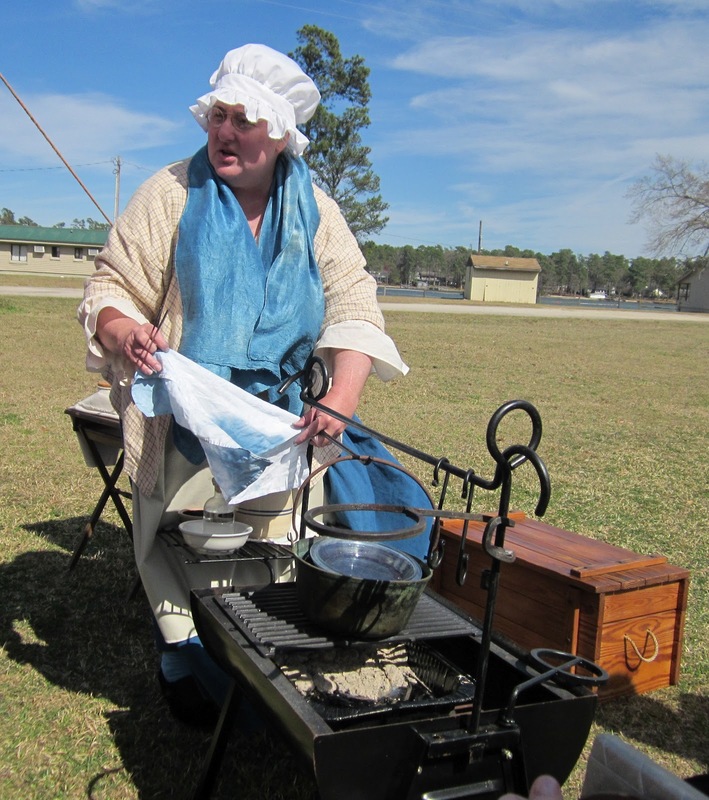 I recently attended the Francis Marion Memorial Days at Camp Bob Cooper near Summerton, SC, where more than 50 presenters devoted their time over the three-day event to make sure everyone received a hands-on history lesson. At more than 20 different stations visitors learned about life during the American Revolution – about Hessian and German soldiers, blacksmiths, quill writers, tomahawks, muskets, rifles, pistols, clothing, crime and punishment, and flint boxes and fire starting. The station that caught my eye was the one where Peggy Chiappetta presented the story of Eliza Lucas Pinckney and demonstrated how to dye cloth with indigo and various other herbs and plants. 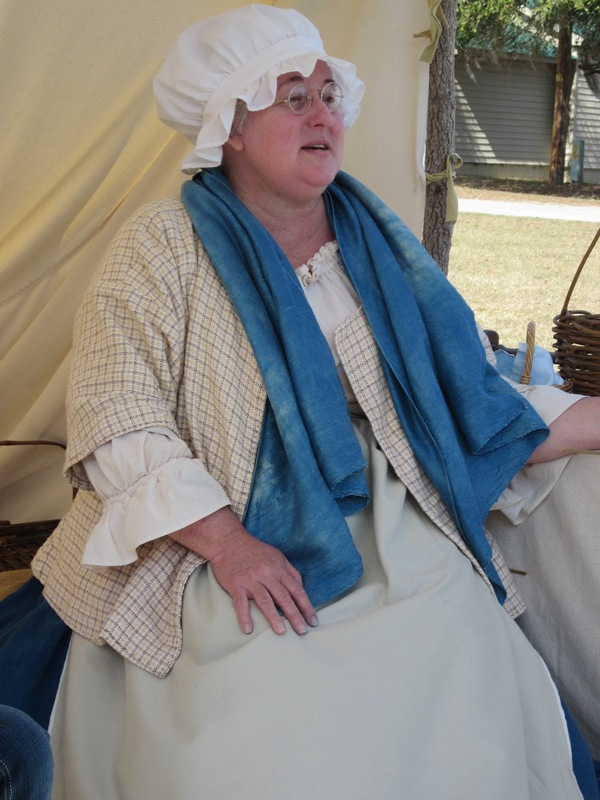 Famous South Carolinian, Eliza Lucas, who was born in Antigua in 1722, took charge of her father’s plantation near Charles Town, SC, when he, as a British Army officer was called back into the military. She was only sixteen. Her mother was ill, so Eliza ran the estate and cared for her mother and younger sister. She traveled to England, where she learned the “social graces” that comprised most of a woman’s education at that time. Because she excelled at everything she attempted to learn, she was allowed to study botany, a subject that interested her. Still in her teens, after she returned home to South Carolina, she received indigo seeds from her father in the West Indies. Her knowledge of botany gave her a great advantage as she experimented for three years ways to make a high-quality blue dye from the indigo plant. Mrs. Chiappetta gave the following fascinating account of how indigo was processed. The three- to four-foot tall bushes would be cut and thrown into a pond where they were allowed to rot. That pond would be drained into an empty pond, taking with it the purple water and leaving behind the rotted plants. Slaves would then beat the surface of that pond with sticks, stirring up the oxygen which interacted with the water, forming particles that sunk to the bottom. When ready, that pond would be drained, leaving behind purple clay that was fashioned into bricks, which is how the dye was sold. Mrs. Chiappetta demonstrates how to dye with indigo. Eliza was eventually so successful at producing indigo plants, that she allowed them to flower and to produce seeds which she gave – not sold -- to other planters. This provided such a lucrative business for South Carolina planters that Lewis Booker Wright in South Carolina, A Bicentennial History (1976) wrote, "So rapid was the development of the industry that by 1748, South Carolina shipped England 134,118 pounds of indigo cakes, and it remained a profitable crop until the Revolution." Historian Edward McCrady wrote: "Indigo proved more really beneficial to Carolina than the mines of Mexico or Peru were to Spain . . . . The source of this great wealth . . . was a result of an experiment by a mere girl." In 1744, Eliza married a widower, Charles Pinckney, a Chief Justice of the Province, and they had four children, Charles Cotesworth, Thomas, another son who died, and a daughter, Harriott. After her marriage, Eliza continued experiments with hemp and flax and revived the silk culture in the Lowcountry. She took over management of her husband's several plantations and Charles Town properties after his death in 1758. 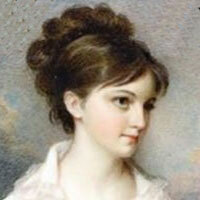 Her two sons became national figures: Charles Cotesworth Pinckney, who was a general in the Revolutionary War and a signer of the United States Constitution; and Thomas Pinckney, also a Revolutionary War officer, later a general, and the United States Minister to Spain and to Great Britain. Eliza died in 1793, and President George Washington, who had been so impressed years earlier by his meeting with her, requested to be a pall bearer. 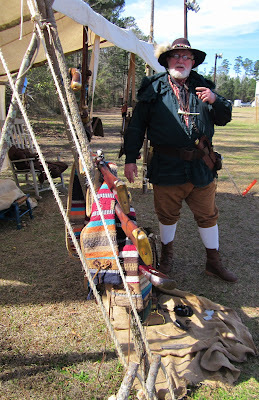 Here are more pictures of the Francis Marion Memorial Days. Colonial woman's flint candle lighter. 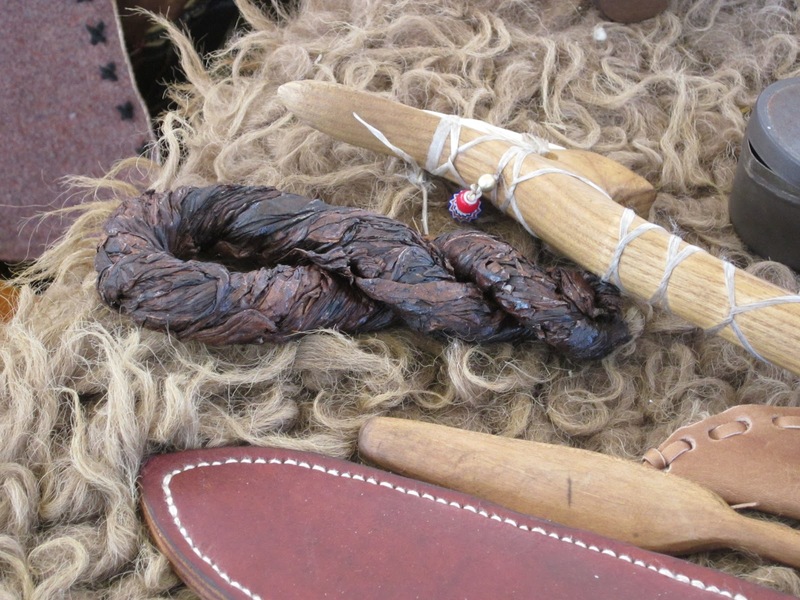 Colonial gentleman's rope of tobacco. cloth and how to start a fire with flint. Sounds like a fun day, filled with re-enactors and lots of fun facts! Faye, for a history lover like me, it was great fun! My husband and my friend, Paula, went with me, and we couldn't stop talking about it on the way home. Oh my, Susan. This is fascinating stuff! I'm so jealous. Wish I didn't live out here on the West coast so I could attend events like this. You must have brought home mounds of great information. And the hands on opportunity is priceless. I leaned so much just from this article. Thank you for posting it! MaryLu, it really was quite a spectacular day. 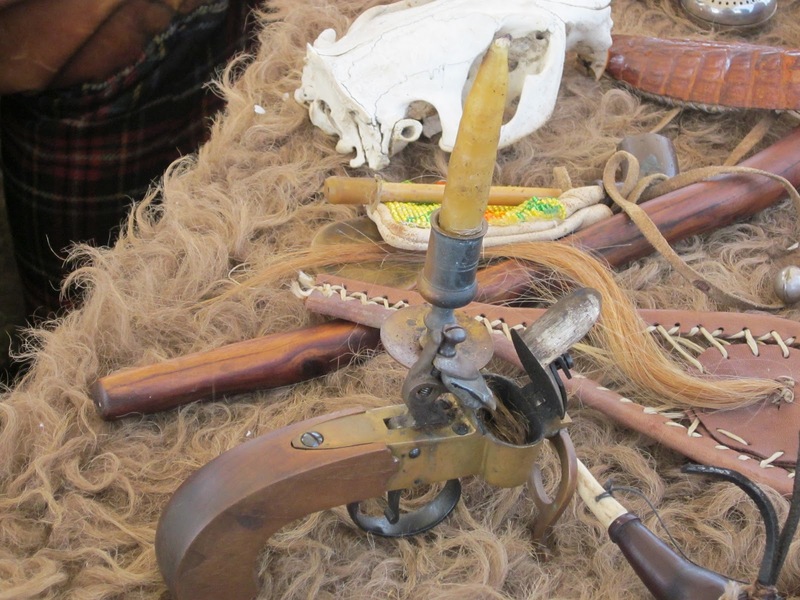 I got to see how pistols and rifles were made too, which was really interesting. One gentleman there had a table full of odds and ends that the colonials would have used in their everyday lives. Amazing description of the process, Susan! Most, if not all, of the blue in colonial times originated from these plants and to think it all started with a young woman interested in botany! Thank you for this clearly understandable explanation. Elaine, the woman who explained the indigo process also showed us yarn that she had dyed with some of the things the colonials used--tea, yellow onions, blueberries, blackberries, goldenrod, on and on. While she was explaining, someone yelled "Fire in the hole," and the cannon demonstration went off. It was deafening, the ground shook, and the hairs on my arms stood up. Don't know how the military men stood all that noise. Was just down in the Charleston, S.C. area visiting plantations and noticed that a lot of them had grown indigo (along with cotton and rice). How interesting to learn a little background! Thanks for sharing! You're welcome, Jessica. I love to share information, especially the tidbits that I call "my treasures" -- things I have never heard of before and can't wait to put in my novels. Wow! This is such I great post. I love learning things like this. Thank you! Hello Susan from Peggy C. Thank you for this lovely article. You did an amazing job writing up so much detail in a thoroughly enjoyable read. I can't wait to see a book that includes the indigo culture. I am also looking forward to meeting you again. Best wishes! Very interesting! I also have dyed my handspun yarn with herbs, even onion skins which produce a yellow color. 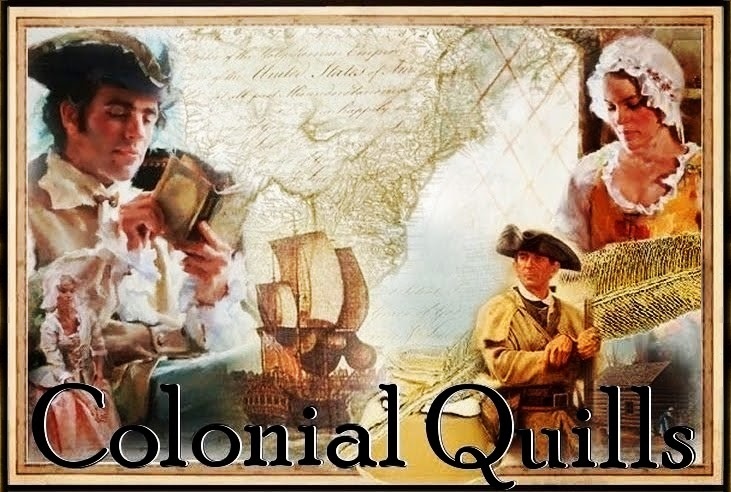 I love the colonial crafts! Woad is another herb that produces a blue color. The picture shown here is not Eliza Lucas Pinckney. It is actually Eliza Izard Pinckney based on a portrait at the Gibbs museum in Charleston SC. There is no known portrait of Eliza Lucas. of Eliza surviving." Susan Craft served as South Carolina state historian, working in Columbia, for many years. 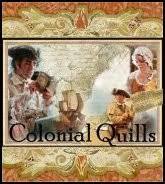 We're blessed to have had her contribute to the Colonial Quills blog! If you have any Pinckney information you'd like to share with us, please feel free to email me at cfpagels (at) gmail (dot) com! Thanks!